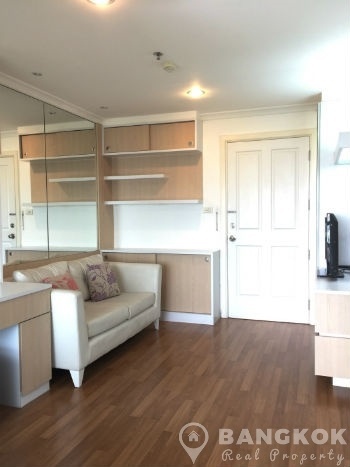 A modern, high floor 1 bedroom condo is now available to rent at Lumpini Place Rama 9-Ratchada ideally located on Rama 9 road and just 10 minutes (790 metres) from Phra Ram 9 MRT Station and Central Plaza Grand Rama 9. 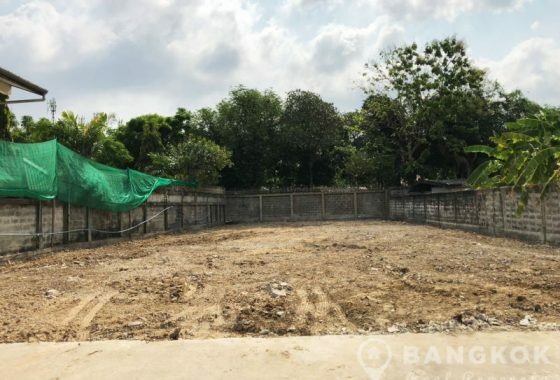 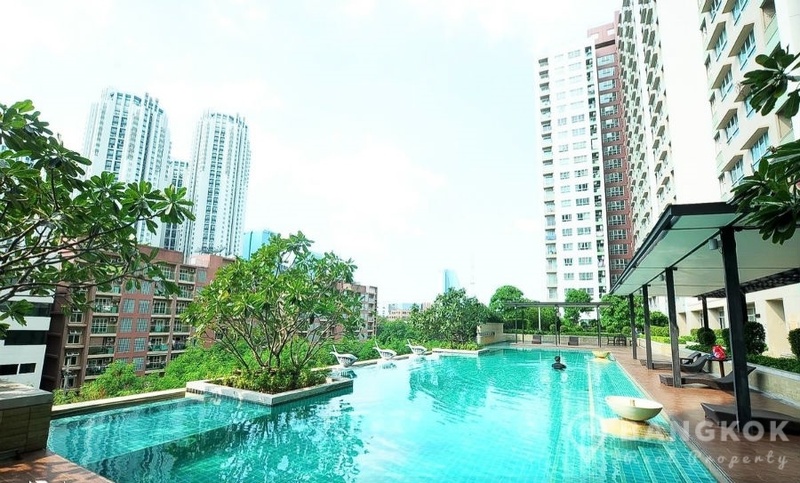 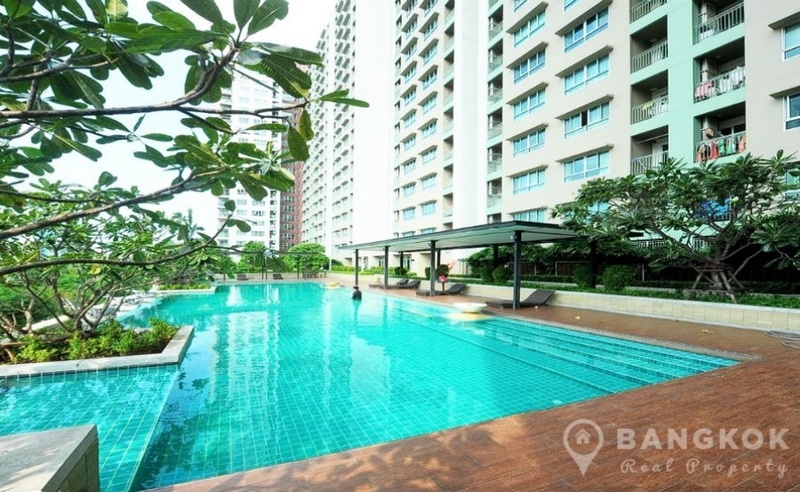 This high rise development built in 2010 by LPN Development offers residents easy access to many great amenities including Fortune Town, Esplanade Ratchada, Tops Market, Big C Extra @ Ratchadapisek, Sinakharinwirot University and NIST International School. 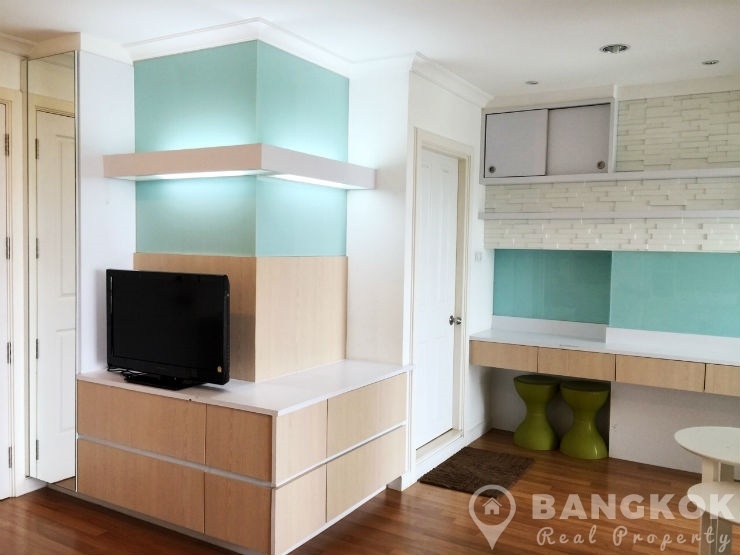 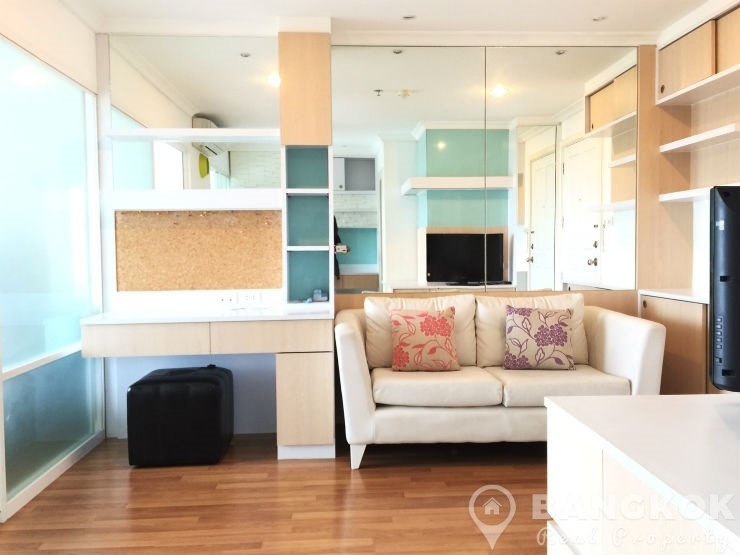 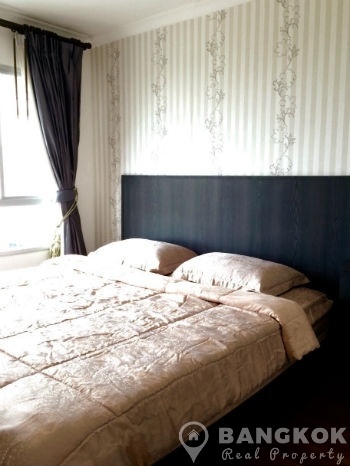 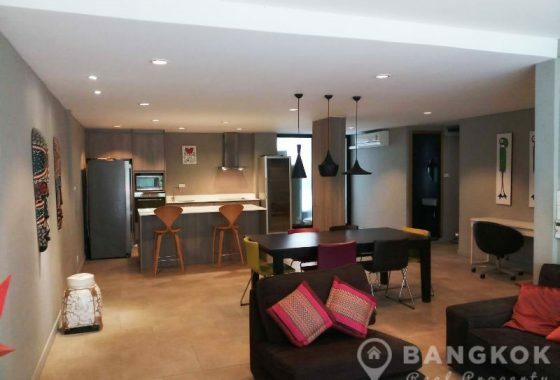 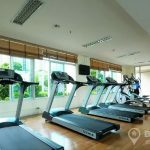 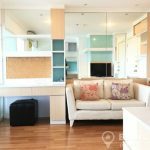 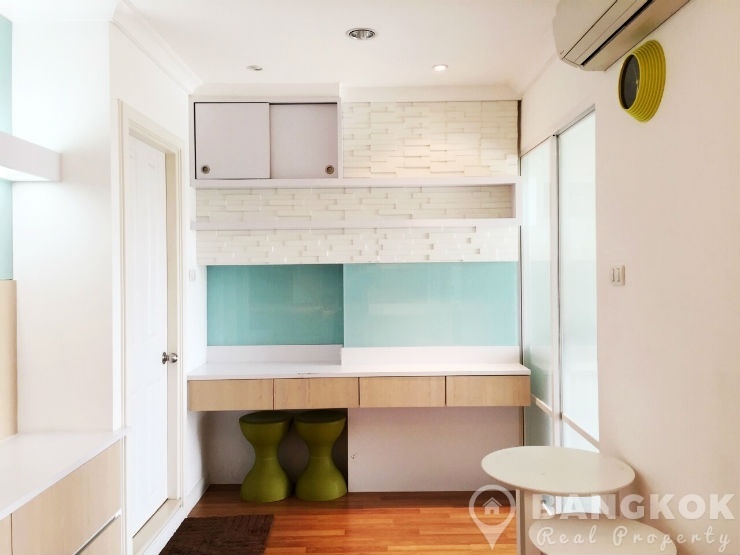 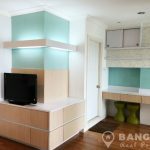 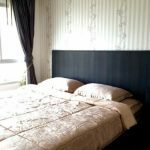 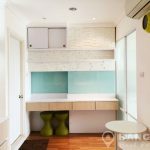 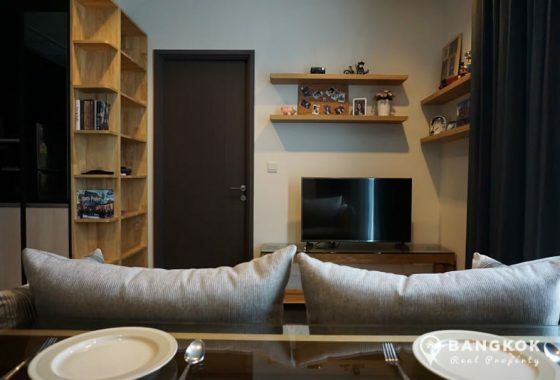 On a high floor of Lumpini Place Rama 9-Ratchada this modern unit has 1 double bedroom, 1 modern bathroom with 33 sq.m of living space with balcony. 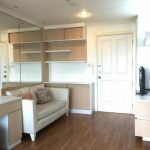 Th unit comes fully furnished, with wooden floors, kitchen with built in units, electric hob (stove), extractor fan, microwave and washing machine and LCD TV. 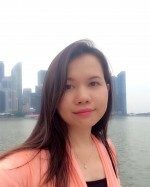 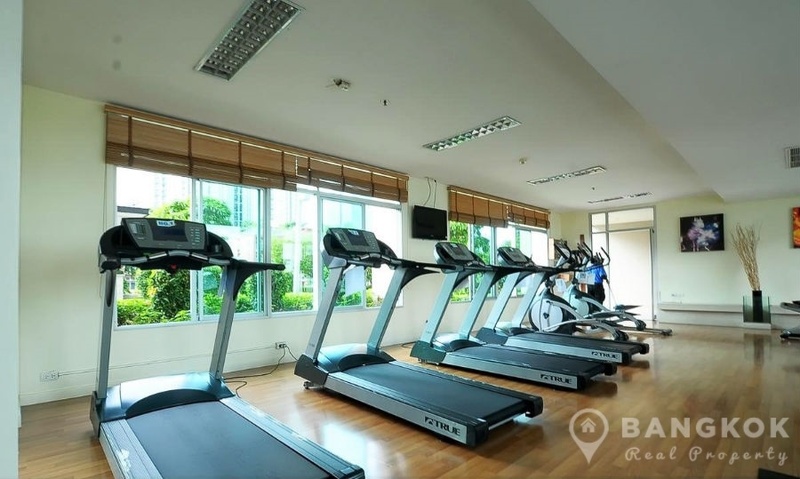 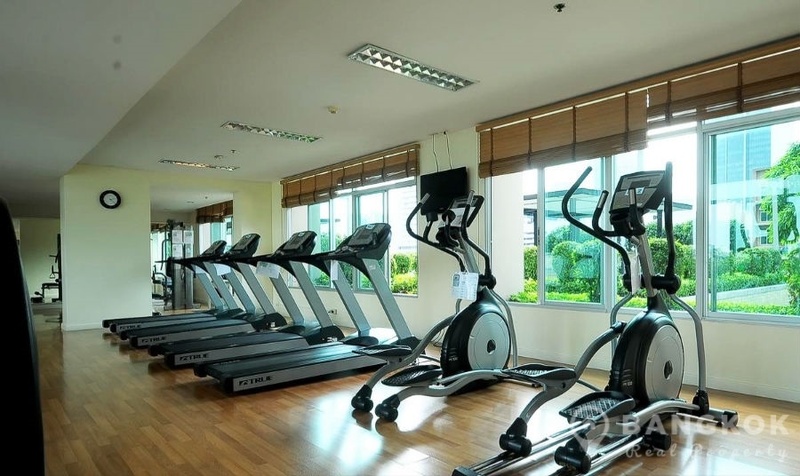 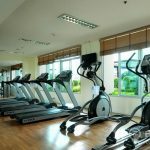 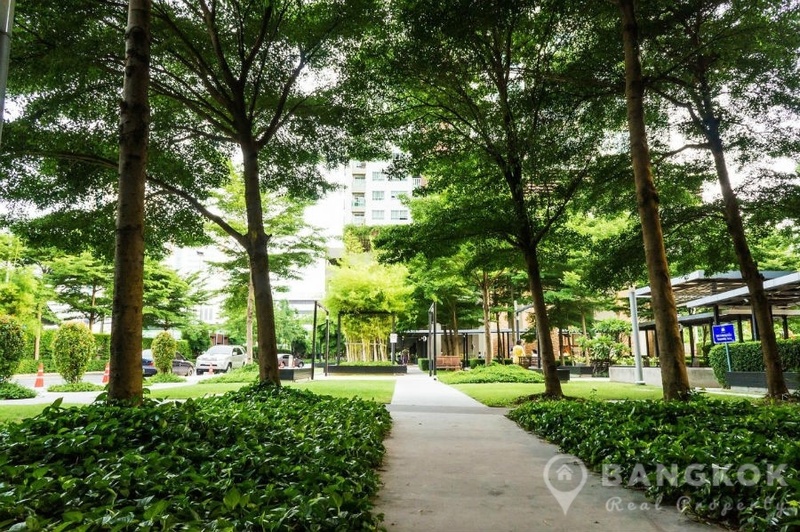 Lumpini Place Rama 9-Ratchada is a condominium project, developed by LPN Development, located on Rama 9 Road near the Central Plaza Grand Rama 9 Mall and Phra Ram 9 MRT station. 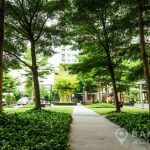 Construction of Lumpini Place Rama 9-Ratchada was completed in 2010 and the project consists of 2 buildings with 25 floors with 1165 units.